You are here: Home › Conferences and Symposia › So what era of Major League Soccer are we in? 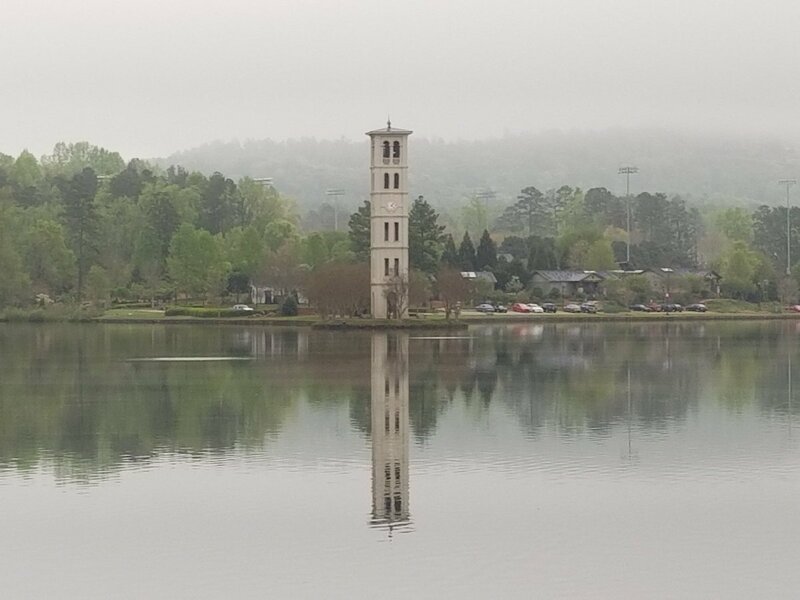 Last weekend, I attended the Carolina Sports Analytics Meeting at Furman University, and I had to pleasure of being one of the oral presenters at the conference. The meeting has a history that goes back more than a decade, but has been revived in the last two or three years after taking a hiatus. Most of the attendees were students and their faculty advisors from universities in the Southeast. 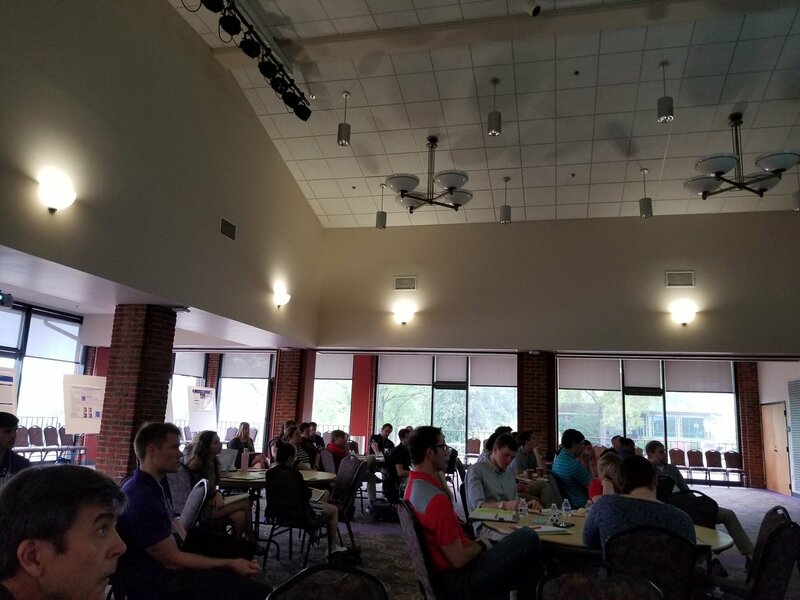 In addition to the host institution, Clemson, Davidson, UNC-Asheville, and Virginia Military Institute were among the schools represented. (One group traveled from Central College in central Iowa to attend the conference, which shows serious commitment!) In addition to the talks, there were poster presentations by students, and a couple of plenary talks by Hart Zwingelberg of the Chicago Fire and Peter Keating of ESPN The Magazine. 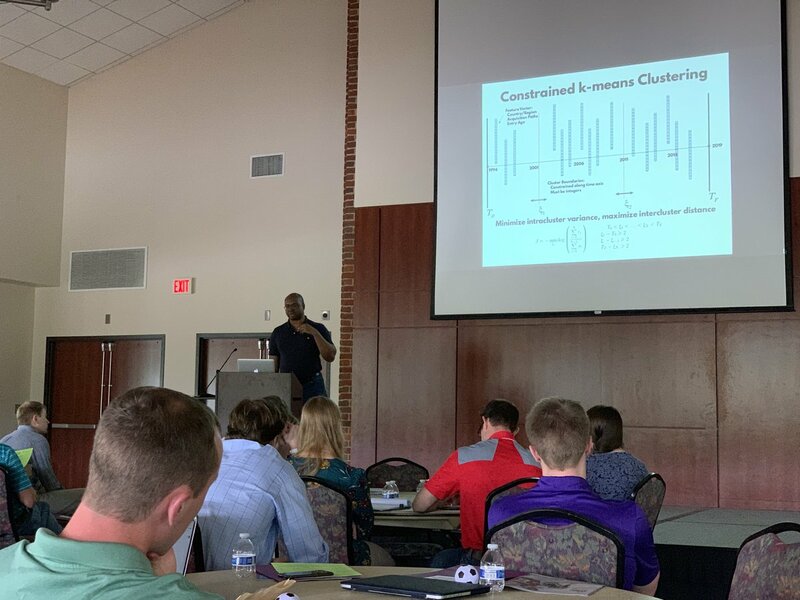 Poster discussions at the 2019 Carolina Sports Analytics Meeting, April 13, 2019. Photo by Liz Bouzarth. My talk was on identifying the player eras in Major League Soccer through a unique database of demographic and acquisition data of every player drafted or signed by MLS since its founding in 1996. There has been a lot of discussion in American soccer circles about the current era of the league — Don Garber gave the idea of “MLS 2.0” at an All-Star event in 2008, and pundits and fans have been eager to define MLS 1.0, 2.0, or 3.0 using various on- and off-field criteria. I sought to use my database to define these eras in terms of the types of players who are entering the league — the geographic regions, their ages, and the acquisition pathway used (homegrown? Designated Player? SuperDraft? and so on). 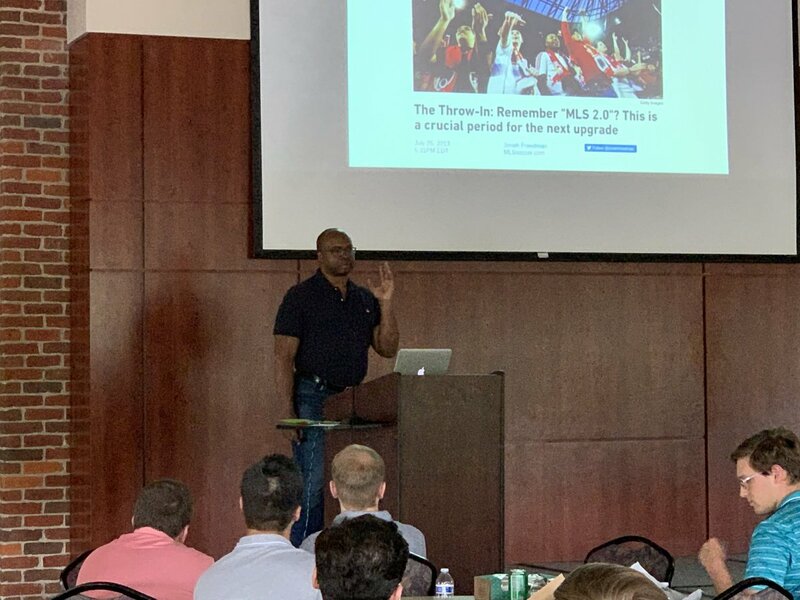 Soccermetrics founder Howard Hamilton presenting his work on player eras in Major League Soccer at the 2019 Carolina Sports Analytics Meeting at Furman University, April 13, 2019. Photo by Liz Bouzarth. I argue that an analysis of player demographics and acquisition paths indicate the presence of three distinct eras in Major League Soccer. One parallels the shootout era, another features drafted players, and the third highlights the growing diversity of the league. It’s easy to believe that MLS eras turn on discrete events such as the signing of box-office players or the entry of franchises with big ambitions, but the reality is that the transitions occur more slowly. You can check out my presentation slides below and I welcome your comments. My sincere thanks to the organizers of the CSAM for a well-run and productive meeting! ← SSAC 2019: The Show Goes On!